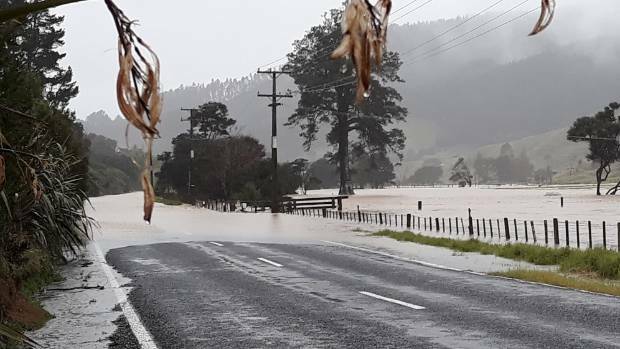 State Highway 25 on the western side of the Coromandel Peninsula from Thames to Manaia suffered major damage in the 5 January 2018 storm, when sea surges and heavy rain washed away parts of the road away and flooded homes. Working on behalf of NZTA, Higgins staff quickly rallied machines and people to clear roads for local people and visiting holiday makers. The Transport Agency have established priority sites for repair across the Coromandel and Higgins is working with them to ensure the least possible disruption for motorists and residents. Work is continuing at multiple sites along the highway to repair damage from the storm. In total about 10 kilometres of road was affected by the storm. You can stay up to date on the Thames Coast Rd by visiting these sites. Thames Coromandel District Council facebook updates here. You can also call 0800 4 HIGHWAYS (0800 44 44 49) to speak to NZTA's call centre team who can provide you with traffic and travel information either before you're travelling or when you're on the road. We are very proud of our Higgins men and women who work around the clock in emergency events to restore devastated communities during and after storm events such as this in the Coromandel. This is a shout out for our maintenance guys and girls. You live our values – you are outstanding in your behaviour. You make us proud.